Vater Percussion, manufacturer of high quality drumsticks and drum accessories, has named Pat Gesualdo as Special Education Program Director. Gesualdo will be responsible for developing a wide variety of education programs to help drummers, drum instructors, and music stores maintain and expand success in the music industry. Additionally, Gesualdo will develop a Vater Percussion Drum Therapy program, to help disabled children and their parents and teachers, fight disabilities with drumming, in schools and communities throughout the world. 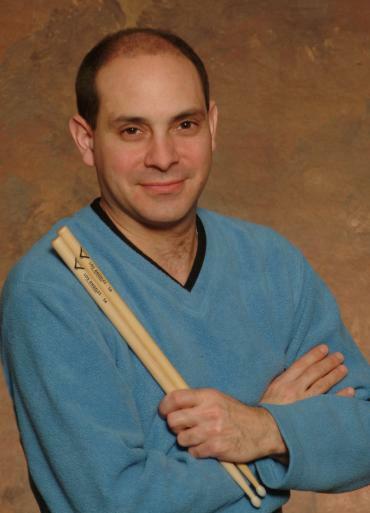 Pat Gesualdo is a Drummer/Author/Clinician, who wrote the Groundbreaking research study on Drum Therapy, which shows how drumming helps children alleviate/manage symptoms of learning disabilities. Gesualdo is also the Founder and CEO of the non-profit organization DAD (Drums and Disabilities), which he launched in numerous New York City schools and communities, to help children fight disabilities with drumming. The program is now featured in schools and communities throughout the world. Gesualdo also trains Psychologists, Music Therapists, Occupational Therapists, Drummers, and Schools Systems in the DAD program. Pat Gesualdo holds a certification in music education, and has also performed-recorded for various Warner Brothers, Columbia, Sony, and Paramount Pictures artists and special projects. He was nominated to Who’s Who in America, and as an associate Voting Member for the Grammy Awards. Various celebrities, sports stars, politicians, and major corporations endorse Gesualdo, and his DAD Program. Some include Senator Anthony Bucco, the WWE Superstars, New York City Mayor Michael Bloomberg, the Morris County Park Police, Pepsi-Cola, the New Jersey Education Association, The NJ Devils, the NY Giants, WDHA Radio Station, the Buddy Rich Drum Company, and Vater Percussion among others.